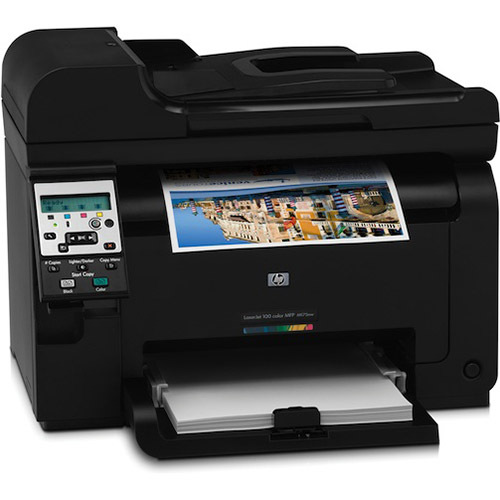 Trust 1ink.com to bring you the best deals on HP Color LaserJet Pro 100 M175 toner. We sell remanufactured toner cartridges that perfectly match the performance and print quality of a far more expensive OEM (original equipment manufacturer) cartridge. These cartridges are reengineered here in the United States, so you can take comfort knowing that your purchase is helping to support American jobs and bolster our local economy here in Burbank, CA. Whether you’re buying toner for a work project in a small office or for your own creative projects at home, 1ink.com’s remanufactured HP 126A toner cartridges will get the job done right and make it look exceptional. Getting the print quality you need is easy with 1ink.com. Our remanufactured HP toner cartridges were designed to install easily in your printer and produce professional documents and images, all for over half off the OEM (original equipment manufacturer) retail price. We also offer a four-pack for additional savings and convenience. Find the cartridges you need for your HP Color LaserJet Pro 100 M175 printer and kick OEM prices to the curb!